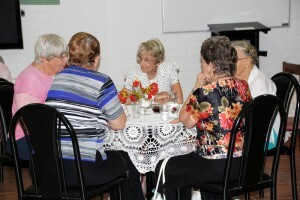 Your generous donation will stay in the Northern Territory and help support seniors. It’s easy to make a donation and there are a few ways to do it. It’s easy, fast and secure. Please contact us to arrange this payment. Regular donors provide a valuable and dependable source of funding that helps us support seniors in our Territory community. It’s fast, easy and secure to arrange a regular donation—not matter how big or small. You can set it up as a direct debit or as a regular payment from your salary. Please contact us to set these payments up. Many people who have been helped and supported by COTA choose to leave a bequest for COTA NT in their will. We are very grateful for these gifts and for the recognition of our work. If you decide to leave a gift to COTA NT in your will, please let us know so we can thank you. ‘In-memory gifts’ are often made in place of flowers at a funeral. Others choose to make a gift to remember someone on an anniversary. If you’d like to give family and friends this option, please let us know.